This post is about the first stage in using magic. Each step is outlined in Introduction to Magic. In magic it is true that you get what you ask for. Therefore it’s important to ask for what you actually want. So before you do any magic, phrase your purpose in a single, clear sentence. Get rid of ambiguous wording and mixed meaning. It can be as specific or as general as you want, just be sure you know exactly what you wish to accomplish. Before you do magic make sure you check in with yourself. Is the purpose of your magic ethical to your beliefs? Is the purpose of your magic going to require more energy than you have to give? There are many schools of thought on the ethical implications of magic. These range from the idea that magic is a sin, to the idea that magic should have no restriction because the very purpose of magic is to do what you want, and every idea in between. It is important to find your personal stance on magical ethics. It’s up to you decide how you want to use your magic. If you do not believe that you attract what you give then there’s not reason to worry about cursing or hexing. I leave it to you to decide for yourself. Here are a few things to consider when deciding whether to cast a spell. Look at the situation and gather as much information as you can from reliable sources. Think about alternatives and run different scenarios through your mind. Consider your guidelines, values and principles. Test your limits and don't discount your inner voice. Make your choice. You will have to live with it—right or wrong. No one can make your choices, you can't make someone else' choices. I am here to guide in techniques for magic, but ultimately your ethical decisions—like your magic—comes from within. Who you are—and who you will become—is something that only you determine. It really is YOUR choice. I've created several really cool worksheets with questions to ask yourself when considering the ethics of a magical working. 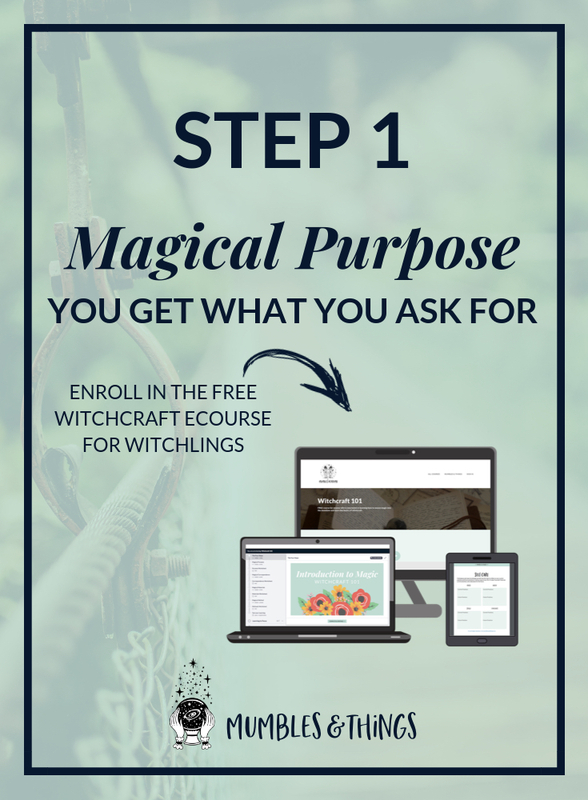 Scroll down, sign up, and get to work, you ethical witch, you! The limits of magic are complex and unclear, but there is a limit. First, magic cannot break (or even bend) the ordinary laws of nature. For example, you’d be hard pressed to use magic to float heavy objects in midair or make a duck bark like a dog. Second, the effects of magical working will come about gradually and naturally, not with a puff of smoke or a bang. You’ll need to be patient with your work and try not to doubt the effect. Third, the larger the area you wish to effect or the bigger or more drastic the change you wish to make, the more energy you will need to put in to the working. Therefore, while your thoughts and ideas are unlimited, your ability to create the outcome is limited by your personal energy. In some cases you’ll need to supplement your energy with external sources. When choosing the time you wish to work magic be sure you’ll have time to recharge and rest before trying anything which requires energy. Save your worksheets to remind yourself of your ethical stance. 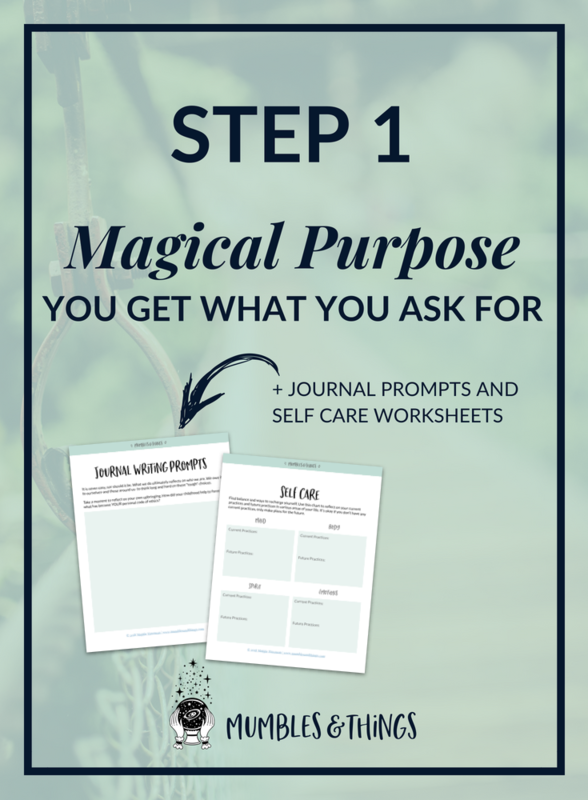 Use these writing prompts anytime you are unsure about whether or not to cast that spell.